Learn about life on the road as an assignment photographer and the nuances of working at a large media company in this fun and lighthearted talk with renowned photographer David Carol. David’s photography career from his start in 1984 as the first assignment photographer for The Image Bank photo agency through his 29 years as Director of Photography at CBS outdoor to his current gig as Co-Founder of Peanut Press, a publisher of photography books. Unravel the magic of night photography in an enchanting photowalk along the stunningly lit Brooklyn Bridge Park. 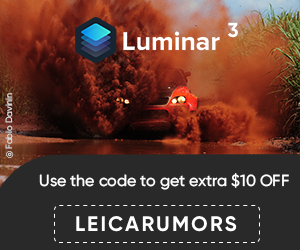 Witness lighthearted moments of a war-torn country through the lens of the Leica SL, and discover how the evolution of photojournalism impacts your visual stories. Dive deep into the art of portraiture with Mark Mann to find the balance between self-expression as the photographer and authenticity in the sitter during this hands-on photowalk, in partnership with Loculars. Surround yourself in shades of gold in the beautiful city of Brooklyn during a sunset photowalk with Mat Rick. From football to photography, learn how Romeo Okwara’s experience as an athlete for the New York Giants influenced his approach to photography. Find your visual identity, and discover your creative process in a photowalk with Joe Greer. 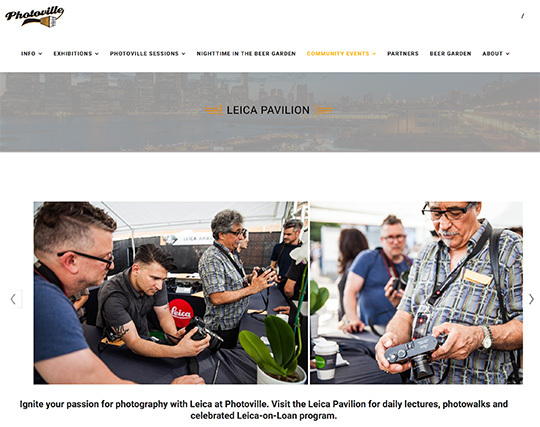 This entry was posted in Other Leica Stuff and tagged Leica Photoville. Bookmark the permalink. Trackbacks are closed, but you can post a comment.